Jim Corbett National Park’s importance as a major ecotourism destination and also as a jungle safari spot has caused various ecological problems as a lot of tourists tend to visit this place and undergo various travel activities. So as to protect and preserve the ecological balance of the national park, tourism and related activities are confined only to selected areas of the tiger reserve. 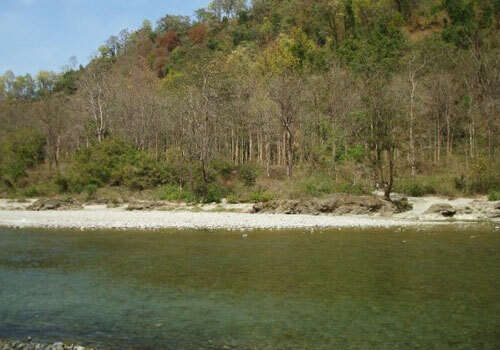 Tourists can easily view and enjoy the diverse wildlife and beautiful landscape of the Jim Corbett National Park. With the passing of each and every year, the number of travelers coming to this national park is increasing on a rapid pace. The Jim Corbett National Park is noted for its dense and moist deciduous forest which houses trees such as sal, haldu, pipal, rohini and mango trees. 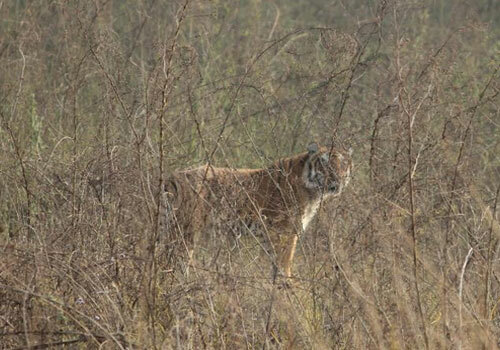 Among the various wildlife animals and birds present at the Jim Corbett National Park, the endangered Bengal Tiger holds the limelight and people visit the national park to get a glimpse of the rare and unique Bengal Tigers. The Jim Corbett Tiger Reserve makes sure to provide all the comfort and facilities to the Bengal Tiger so as to preserve this wild animal species in a better way. If you are looking for extreme wild and adventure destination in north India, then there would not be other better places than the Jim Corbett National Park in Nainital. Hailed as the best ecotourism destination in north India, the tiger reserve can provide a calm, wild and yet serene atmosphere that you would love to experience again and again. You will be lucky enough if you could catch the Royal Bengal Tigers in action and you need to wait and explore a larger area to watch them. One of the best time to watch the Bengal Tigers would be during the dry season between April and mid June and that time would be the perfect time for a jungle safari. There are also other big animals such as the Indian elephant and buffalos which would also give you a good animal watching experience. You can also find Leopards, barking deer, sambar deer, hog deer, Himalayan black bears, Indian grey mongoose, otters, yellow-throated martens, Himalayan goral, Indian pangolins, Indian python, crocodiles and many more. 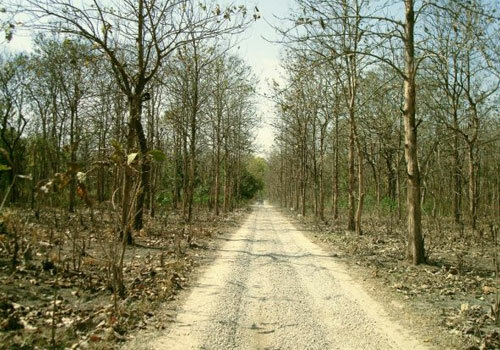 There are also a large number of plant species which are rarely seen in other parts of India and are of high value. 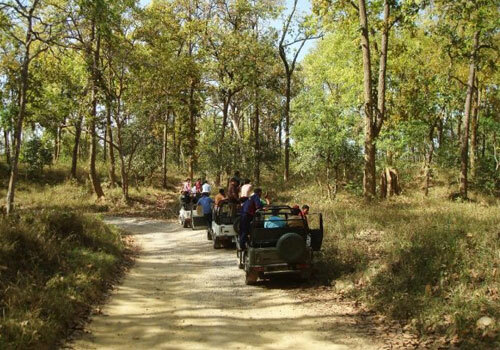 The increase in the number of tourists and their activities has severely damaged the ecological balance of the Jim Corbett National Park. As a result of promoting this place as a major eco tourism destination in north India, a large number of tourists visit this place and has resulted in ecological imbalance such as reduction in plant species and soil moisture. As a result of this, the tourism department has restricted access to the most sensitive parts of the national park and at the same time trying its best to promote eco-tourism at this place. The authorities still grant tourist an opportunity to take a jungle safari through the restricted area which is quite enough to view the wild animal species from a close range. So if you are passionate about wildlife safari and adventure activities, then the Jim Corbett National Park will be the most perfect destination. Since it is also a major eco-tourism destination in north India, you can also make a pleasure trip with your family or friends and make sure that you visit the Corbett tiger reserve at the right time so as to view the most of the wildlife species. There are a lot of resorts, lodges, hideaways and hotels in and around the Jim Corbett National Park which will make your accommodation more comfortable while on your trip to Jim Corbett Wildlife park. These accommodation facilities comes with different rates that suites everyone’s budget. If you are planning to visit Jim Corbett, then it is better if you book your accommodation in advance as there might be shortage of rooms in the peak tourism season. It is better you take services of any of the best travel tour operator to avail all these facilities in the best and easy ways. This entry was posted in Nainital and tagged ecotourism at jim corbett, jim corbett national park, jim corbett Tiger Reserve, jungle safari at Jim corbett. Bookmark the permalink. Its been a long time since I have been here but for two years this was our favorite fun time destination, so much natural beauty around.